It's National Peach Cobbler Day! 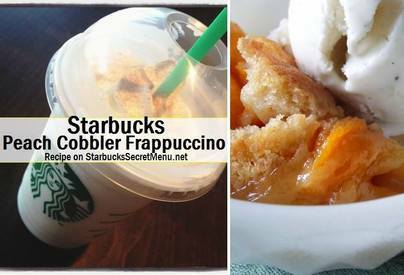 This recipe is from Starbucks "Secret Menu"... A big ol’ slice of Peach Cobbler can be so comforting. While this Frappuccino isn’t as warm and fluffy, it definitely has the flavor to keep you coming back sip after sip. The cinnamon flavor coupled with peach and vanilla blend together so well this recipe is sure to become a favorite!